The Tadoba Andhari Tiger Reserve which is located in Chandrapur District, is the biggest and the oldest national park in Maharashtra. It is the second tiger reserve which has become a part of India’s conservation programme, “Project Tiger,” in 1994 – 1995. This tiger reserve obtained its name from a nearby water body, called as Tadoba Lake. The water body perceived its name from “Taru” or “Taroba,” a god whom the tribal people worship. According to legends, Taru, the head of the village, lost his life when he crossed paths with a tiger. The ecosystem of the tiger reserve is isolated, thanks to the flora and fauna’s diversity. Owed to the beautiful scenic beauty of this reserve, it has been attracting tourists from all over the globe. The renowned “Jewel of Vidarbha,” this tiger reserve is one of the best places to visit in India. If you want to explore the wildlife in their natural habitat, this tiger reserve can prove to be the best choice. Although the reserve is open throughout the year, the perfect time to visit the reserve is between the months of February and May. As the weather gets hotter in these months, the animals start visiting the water bodies, which makes it the best time to sight a large number of animals. During monsoon, the forest turns lavish green and it becomes harder to spot the animals because of the dense growth of the surrounding botany. Evolved from brown bears, the sloth bears species are familiar to India. All thanks to their sickle-like, long claws and a particular lower palate and lip, these animals survive by eating insects in the wildlife. Although these mammals are unidentifiable by nature, we can come across them when we visit the lake. It is also known as the Indian Bison, and is the largest and tallest of the bovine species we will find in this area. These animals are very much strong and stay united in small herds. The matriarch who is the oldest female, in the group guides the herd. The males are solitary gaurs. 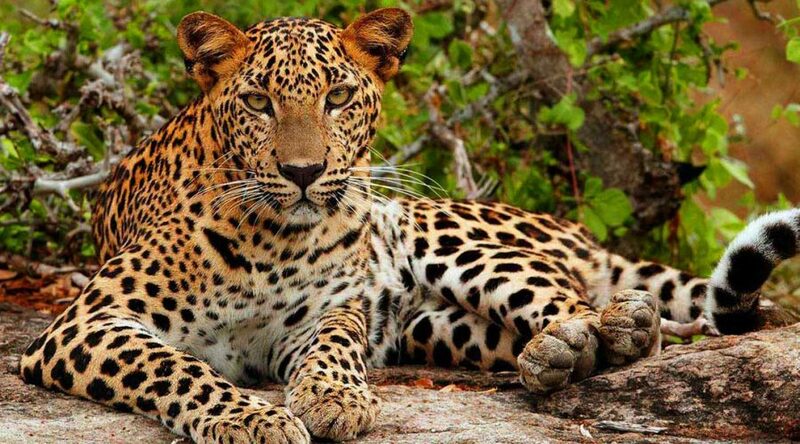 Leopards are one of the beautiful cats in the country; you can find these felines loitering around the forests. As they are muscular by nature, it becomes challenging to see these cats, due to their phenomenal stealthiness. The wild dog is known by a few other names as well — the Indian wild dog, Asiatic wild dog, Red Dog and Dhole. Sporting a tawny-coloured coat and whitish under-parts with a bushy black-tipped tail, it mostly roves the Western Ghats and Eastern Ghats of South India, and is found in Central and North India too. The Royal Bengal Tiger is the most majestic animal in the forest. This is one of the main reasons why the reserve has become a popular tourist destination. With approx. 40 tigers in the area, you are bound to see a couple of them during your visit to the reserve.